The theology of John Wesley has proven exceedingly influential in the religious and spiritual lives of Wesley’s followers and his critics. However, Wesley did not leave behind a written doctrine on scripture. This collection presents an array of diverse approaches to understanding John Wesley’s charge to read and interpret the Bible as scripture. Contributors move beyond the work of Wesley himself to discuss how Wesleyan communities have worked to address the difficult scriptural–and theological–conundrums of their time and place. 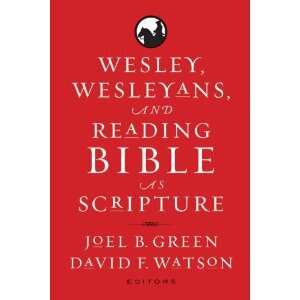 David F. Watson’s Blog: Wesley, Wesleyans, and Scripture. Next Prayer as a phenomenon of social memory?